In this week's episode, Amy and Emily catch you up on the latest and greatest with Style Me Tactical and Alexo Athletica. Emily highlights her top picks from her holiday gift guide and Amy gives you a first look at Alexo's new collection. 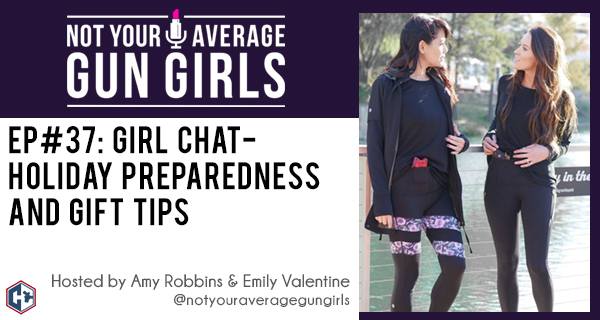 The girls also discuss simple and easy to remember holiday preparedness tips.